Harvesting wasted thermal energy can power sensor and monitoring systems in an energy-efficient way. In this article from ES Design magazine, Sally Ward-Foxton speaks to thermoelectric generator company Nextreme about the technology’s potential. The rapidly increasing energy efficiency of electronic devices means small sensor systems can now be powered with minute amounts of energy — amounts small enough to be ‘scavenged’ or ‘harvested’ from the environment. The most popular technologies for harvesting energy are broadly split into photovoltaic, kinetic and thermal techniques. While photovoltaic is well-suited to outdoor applications, it requires substantial energy storage to operate in the dark. Kinetic is best suited to fixed-frequency environments today, and it can be complex to develop application-specific solutions. A relatively new technique of harvesting thermal energy using thin-film thermoelectric generators (TEGs) is showing promise for certain applications; they are solid-state so don’t require maintenance, and can be used anywhere that sufficient temperature differences exist. Based on the thermoelectric effect, today’s TEGs can now produce micro-Watts to milli-Watts of power from temperature differences in the tens of degrees. The thermoelectric effect can be broadly split into two parts (Figure 1). The Peltier effect uses an electric current to extract heat from the surroundings and can be used for cooling purposes. Conversely, the Seebeck effect uses differences in temperature to generate an electrical current — it’s this effect that can be used by a TEG to harvest energy to power small systems. Crucially, for the effect to work, two types of material must be used that have sufficiently different Seebeck coefficients in order to produce a noticeable electric current. Figure 1: (Left) Thermoelectric devices are made up of pairs of P and N type material. (Centre) The Peltier effect is used to cool hot objects using an electrical current. (Right) The Seebeck effect uses the temperature difference between to objects to generate an electric current. We’ve known about the thermoelectric effect for several hundred years but it wasn’t until the 1960s, when semiconductor materials emerged, that meaningful thermoelectric devices could be manufactured. Bismuth and telluride materials were ground into powders and sintered to make thermoelectric materials; that was the story until the US Government became interested in the field in 2002. Substantial investment followed and the Research Triangle Institute (RTI) in North Carolina used a semiconductor thin-film process called MOCVD (metal-organic chemical vapour deposition) to create bismuth telluride on a gallium arsenide wafer. The material created has very different properties to the bismuth telluride of the 1960s. The efficiency didn’t markedly improve, but the amount of heat that the thin films could move was ten to twelve times greater. Thin film thermoelectrics was born. “To boil it down, there is a fundamental difference in the capabilities of thin-film thermoelectrics versus standard [bulk] thermoelectrics,” says Bob Collins, Vice President of Business Development for Nextreme, the company spun out of the RTI to commercialise the technology. “[Thin film thermoelectric devices] have a much smaller form factor, they are very thin — the average device is around 0.6mm in thickness. They also have a high heat pumping capability, using around one four-hundredth of the material that standard bulk thermoelectrics does.” See the size comparison in Figure 2. 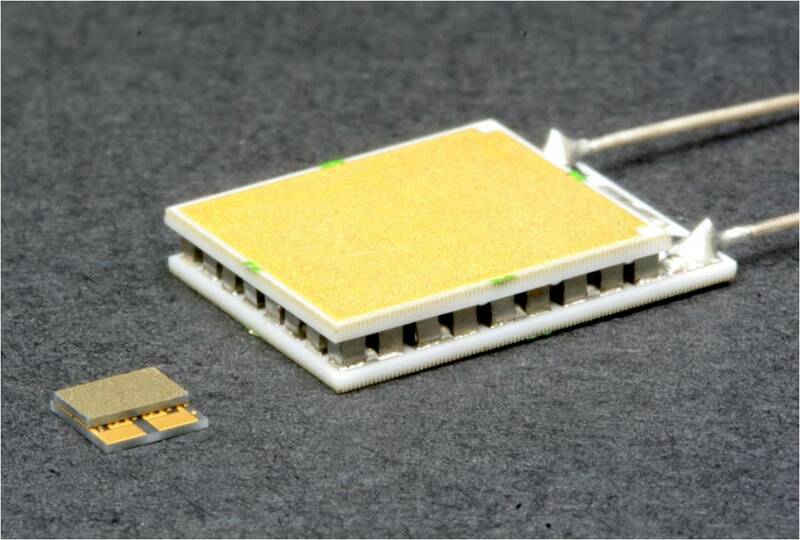 Figure 2: Size comparison between two 6W thermoelectric modules. A Laird-Nextreme thin-film module is on the left, with a bulk thermoelectric module on the right. Reducing the amount of material used to get the same power output reduces the footprint and weight of the device, enables easy integration into modules and reduces manufacturing costs. Though the overall efficiency is comparatively low, around 1%, workable amounts of power can be produced from commonly found temperature differences. These factors combined make thin-film thermoelectrics suitable for energy harvesting applications. Building an energy harvesting module requires consideration of both the thermal system and the electrical system. The thermal system may require heat sinks or heat spreaders, while the electrical side will certainly require conversion to the appropriate voltage (Figure 3). Such a module, like those developed by Nextreme, can produce milli-Watts of power (Figure 4). For example, the eTEG HV56 has demonstrated output power levels of 1.5mW at a ΔT of 10K and >36.5mW at a ΔT of 50°C. The module measures just 3.1 x 3.3mm. Nextreme makes three thermoelectric generator module products as standard, but the vast majority of the modules it supplies are the result of a custom design implemented by its engineering design team. 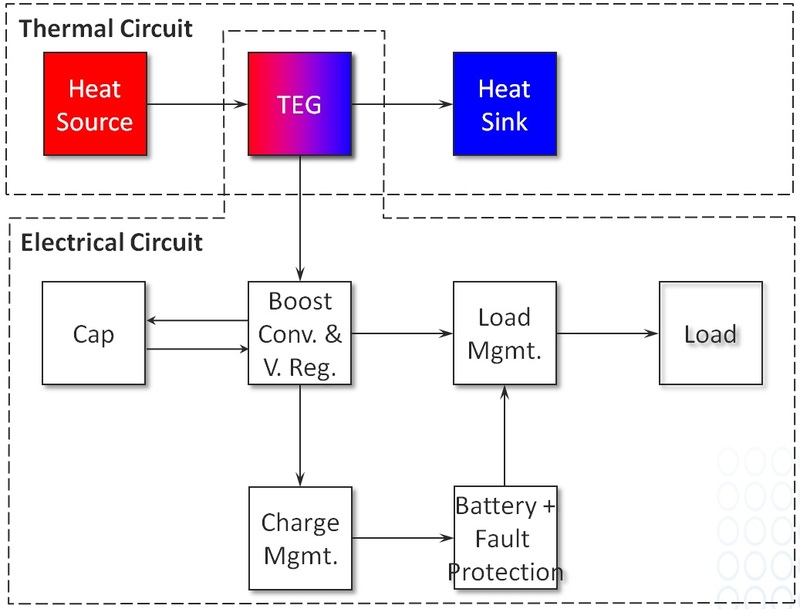 Figure 3: Building an energy harvesting module requires consideration of both the thermal and electrical systems. “Often what you’ll see provided is a small assembly that optimises the use of thin film, but it greatly reduces the requirement of our customer to understand thin film or thermodynamics,” Collins says. Collins explains that the electrical, thermal and mechanical requirements of an application determine a module’s exact configuration, but that all three of these can be varied substantially. Arrays of modules can be placed between two headers to make much larger devices — perhaps 50 smaller modules in a rectangle or circle — to produce a given voltage. There are physical limits, he says, but overall, a lot of flexibility is offered. Figure 4: The amount of power that can be produced by Nextreme’s standard thermoelectric generators for different temperature differences. In practice, most of Nextreme’s products are custom designed, with some based on these modules. As an example of a typical application, Collins cites one Nextreme customer who makes monitoring probes for the chemical process industry. They wanted to find a way to retro-fit probes to existing facilities without redesigning the infrastructure for powering and gathering data from 1000 to 1500 sensors in a plant, which would be extremely disruptive. Instead, they gave the sensors wireless capability and used thermal energy harvesting to power them. The customer provided Nextreme with their requirements and the company developed a heat sink, thermoelectric generator, heat spreader and energy conversion circuit assembly which was then integrated into the probe. The final thermoelectric generator was built from six arrays of Nextreme devices. Although industrial process monitoring would be a typical application for thermal energy harvesting technology today, there is potential for using this technology anywhere where there is a big enough temperature differential. Nextreme has also worked on a project for the US Air Force, to design a power source for a sensor device that monitors the condition of the bearings in the turbines of jet engines (Figure 5). The idea is to replace the bearings only when necessary to streamline maintenance using a wireless vibration sensor in the engine cap. The requirements for the thermoelectric generator to power the sensor and its wireless communications were: a steady state output of 5mW, minimum voltage of 5Vdc, and a peak output of 30mW in 100ms pulses. 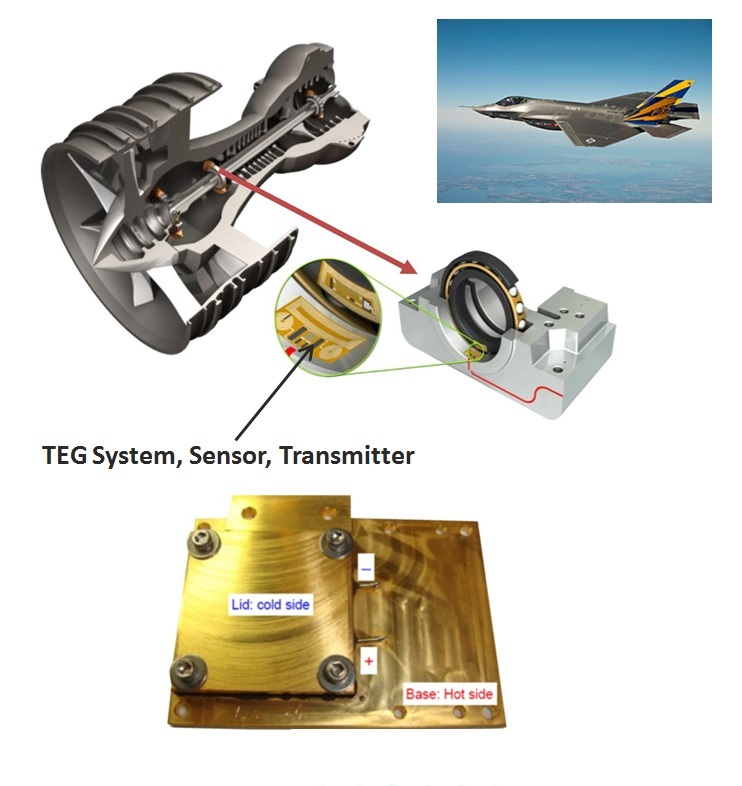 Figure 5: Using a thermoelectric generator (TEG) to harvest energy inside a jet turbine can power vibration sensors that monitor the health of the bearings. Future applications that look promising include the automotive sector, particularly industrial and farming equipment, where one of the main sources of costly downtime is damaged wiring. Sensors and actuators on the machinery can be given a power source, courtesy of a thermoelectric generator, so they can communicate wirelessly. In terms of the company’s future, Nextreme was acquired earlier this year by Laird, who already have a substantial bulk thermoelectrics assembly business. Nextreme’s thin film capability is intended to complement that business. Part of the acquisition included expanding Nextreme’s fab to cope with commercial production volumes.